Q&A: How Many Cannabis Seeds Per Pot? 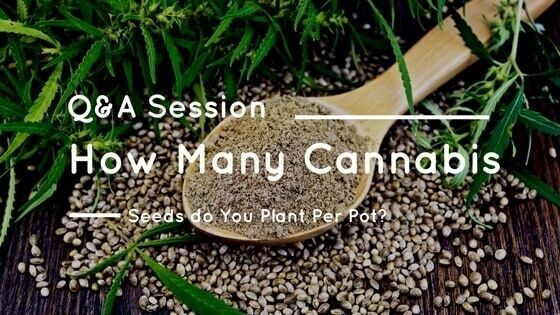 How many cannabis seeds per pot? If you want to know why you only plant one seed per pot, then keep reading. If not, get out there any plants some damn seeds already! There are a list of things that can go wrong if you try to plant more than one. While theoretically, planting multiple plants per pot makes sense. You can save money on planters, soil and marijuana nutrients. But, in practice, there is just too much that can go wrong. Unless your planter is HUGE, your plants are going to be fighting over nutrients and root space. It’s not the same as planting cannabis in an in-ground garden where they can stretch their roots. In a planter your space is already limited, and placing more than one plant in a pot can stunt both plants growth. Another problem you’ll run into is sexing. Unless you’re buying feminized seeds from a reputable seed bank, you’re playing a game of hit or miss. If you have a planter with two plants and one turns out to be a male you’re in a real bind. You can kill off the male, sure. But the two plants roots might be bound to the females which will kill her too. If you are low on space, you might consider putting a male clone and a female cannabis clone in the same pot. Since you won’t have to worry about separating the plants, this could work. You’re also not so worried about the bud you’ll get from either the male plant (which is none) or the pollinated female, so you don’t need huge plants. This makes the fight for root space meaningless. Before you're transplanting your cannabis to their final container, you should be germinating them. Germinating is done one seed at a time, so if you’re wanting to plant more than one seed thinking that some won't take, don’t. Germinated seeds with sprouted roots will sprout into the seedling stage more often than not. If you’re not sure how to germinate, be sure to check out our guide on germinating cannabis seeds. And if the issue is money, plant your seeds in grow bags. They are a lot more cost effective compared to clay or plastic pots. Another cheap alternative is 5-gallon paint buckets—that have never had paint in them of course. So, unless you plan on breeding two plants, stick with just one seed per pot. 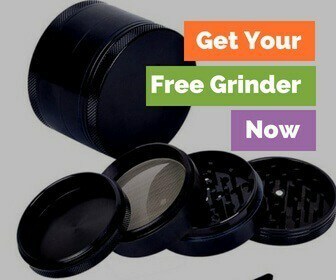 Do you know of any more situations that would require more than one cannabis seed per pot?